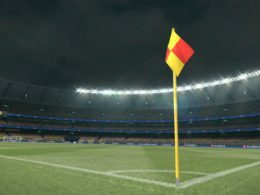 Konami announced another Ambassador for PES 2017. This decision has no influence onto the game. It is just importand for marketing and sales. “Konami Digital Entertainment B.V. proudly announces Andrés Iniesta, the FC Barcelona and Spanish Central Midfielder as an official Ambassador for PES. Iniesta is considered to be one of the best players of his generation and one of the greatest midfielders of all time. This announcement is extremely exciting for KONAMI, but also for the FCB Captain himself, “FC Barcelona and KONAMI have enjoyed a long and fruitful partnership, which has reached new heights this year,” said Iniesta. 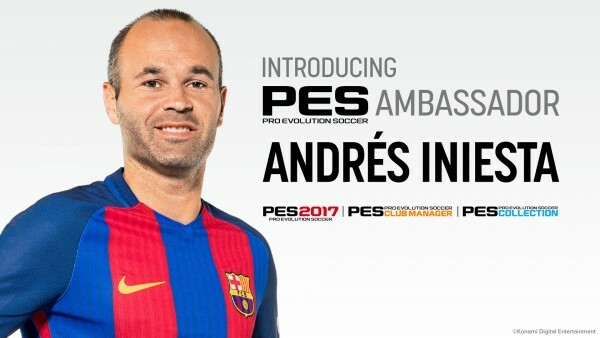 “With PES 2017 perfectly recreating the Camp Nou experience and the playing style of both the Barcelona team and individual players, it is an honour to become a PES Ambassador. 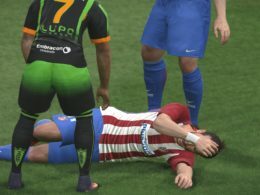 PES 2017 has proved itself the most realistic simulation of the modern game, and I look forward to working closely with KONAMI to spread the message of its unrivalled quality and level of control,” commented Iniesta. 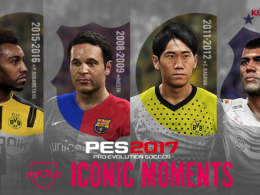 To celebrate this announcement, KONAMI has activated a series of myClub promotions in PES 2017 centred on the Catalan club. Available now in myClub, players can purchase a special agent offering legendary players from Barca’s history and that of their great Madrid rivals. The agent offers access to a number of Legend players including Thierry Henry, Gary Lineker, Rivaldo Vitor Borba Ferreira, Luis Enrique, Carles Puyol and more from the illustrious pasts of both clubs. 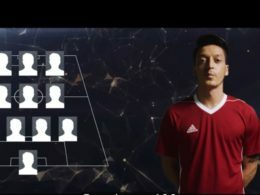 Similarly, KONAMI also rewards myClub users with in-game currency, with 500,000 online matches played within the week granting users a bonus of 5,000GP, while 4,000,000 online matches played will earn users a stunning 40,000GP and a Legend player. 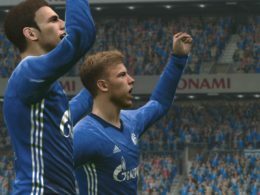 If 5,000,000 online matches are played, users will be awarded 50,000GP and TWO Legends. Similarly, players will also be able to benefit from Barca’s on-field success when they take on their great Madrid rivals on December 3rd. myClub users will receive a special agent offering a Legend for every goal the Catalan side score, up to a maximum of six in total. 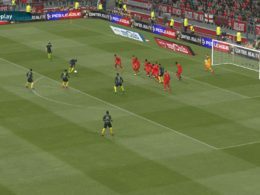 KONAMI also released the second free content pack for PES 2017 on November 24th. Data Pack #2 was introduced with the addition of a collection of new kits, updated and enhanced player likenesses, three new stadia, and a number of presentation elements designed to mirror key match day experiences within PES 2017.